Earlier this month, BlackBerry noted that some of its licensed handsets were having a problem. 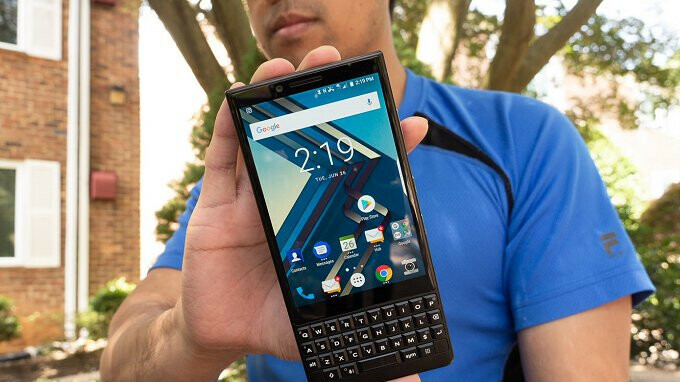 These BlackBerry branded phones, sporting a physical keyboard and running on Android 8.0 Oreo, were making users think that they had double vision by typing a letter twice on the screen even if the key was pressed only once. The company refers to this as "double typing." The ggoodd nneewwss good news is that BlackBerry has developed a fix for the double typing bug and has included it in a beta update for the BlackBerry Keyboard app. Found on the Google Play Store, the app is for BlackBerry users only and the changelist for the update is succinct: "Bug fixes. Patch for double letters on pkb." BlackBerry users with a model that sports a physical QWERTY and has Android 8.0 Oreo installed, should load the update on their devices as soon as they can. At the moment, you have to be a beta tester for the app to receive the fix immediately. Soon, the update will lose its beta label and all affected users will be able to get rid of this annoying bug. Is this happening again? We just received the update 2 weeks ago to fix it. So I was wondering if it's happening again or your just late on the post?